Italy’s Senate voted on Wednesday to block the trial of Interior Minister Matteo Salvini for refusing to allow migrants to disembark from a rescue ship. 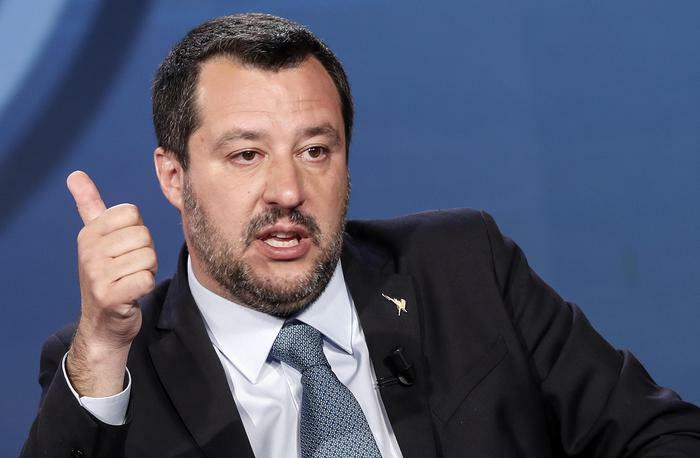 In January, an Italian court ruled that Salvini should be tried for the alleged kidnapping of 177 asylum seekers he prevented from disembarking the Italian coastguard ship Diciotti in August 2018. The ship was left stranded at sea for five days without permission to dock. The migrants were only allowed to disembark once Salvini had been assured other European countries would take them in. On Wednesday, members of the house had to decide whether Salvini would stand trial or proceedings be halted. Senators voted 237 to 61 in favour of the immunity commission’s recommendation that Salvini, who heads the anti-immigrant League party, should not face trial. Italy’s constitution says that parliament can block proceedings if lawmakers agree the minister was doing their job in the interests of the State. Salvini sought parliamentary immunity from the trial, claiming he was “only doing his job” in refusing to allow the Diciotti to dock. Since coming to power last year, Salvini has enforced a hardline stance against migration, including closing all of Italy’s ports to migrant rescue ships. The Italian city of Reggio Emilia will introduce the nation’s most progressive policies to date regarding transgender and intersex people, including providing gender-neutral bathrooms and adding a third gender option on official documents. Prime Minister Paul Keating last Wednesday officially inaugurated the AustraliaGate Sensor Vision Theatre at the Southgate Arts and Leisure Precinct in South Melbourne.